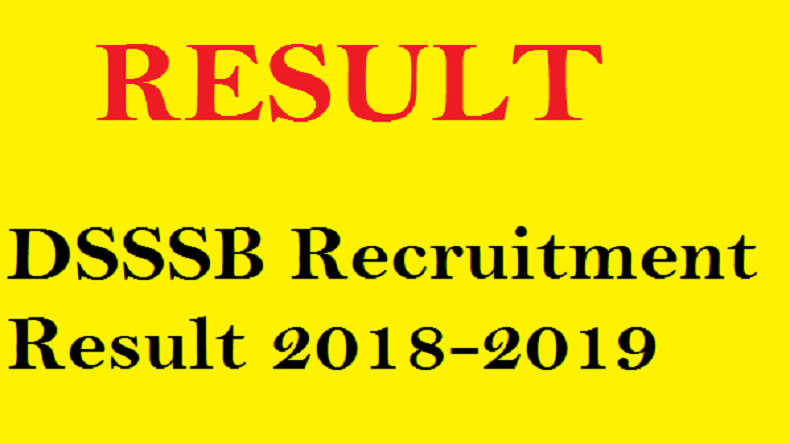 Delhi SSSB grade II result: The Delhi Subordinate Staff Selection Board (DSSSB) has announced the result for the post of grade II post examination @ dsssb.gov.in. The candidates can simply visit the official website of DSSSB to check and download their Delhi SSSB grade II result 2018-2019. Delhi SSSB grade II result: The Delhi Subordinate Staff Selection Board (DSSSB) has announced the result for the post of grade II post examination. The candidates can check their marks on the DSSSB’s official website @ dsssb.gov.in. The Delhi Subordinate Staff Selection Board has also published the cut-off marks list. The candidates can simply visit the official website of DSSSB to check and download the detailed marks for the grade II examination. According to the reports, the tier-I written exam was held on June 25, 2017, across the metro city to hire eligible candidates for 2013 vacant posts. The second tier exam was held on November 25, 2018. According to the DSSSB’s official website, the candidates who have qualified the examination and are shortlisted for the next round have to upload e-dossier from tomorrow, February 9 2019. The candidates are advised to check and download their results ASAP as the DSSSB will deactivate the link on February 18, 2019. The candidates can follow the simple steps mentioned below to check and download their Delhi SSSB result from dsssb.gov.in. Visit the official website of Delhi Subordinate Staff Selection Board @ dsssb.gov.in. On the homepage, click on the link that reads Delhi SSSB grade II result. After clicking on the link, you will be redirected to a new page. Check your Delhi Subordinate Staff Selection Board grade II result.